When you’ve spent good money on great wine, the last thing you want to have to do is waste time trying to fish out a broken cork because that $5 twin-prong opener shoved it down into your vino…or worse, have to pour it down the drain because you accidentally chipped the glass using that cheap hinged corkscrew from your junk drawer. It’s called the traditional screwpull because it’s the original and earliest design for removing cork from the bottle. Simple to use, it’s the most common version out there and least expensive. While it may be tempting to go for the cheaper options, we really don’t recommend it unless you’re in a real pinch. The reason is because these types require some serious hand strength, and if you’ve opted for an inexpensive version, chances are that glue holding the plastic or wood in place is going to let you down fast. Wine keys, also referred to as a waiter’s corkscrew, give help with the use of a lever. This guy needs far less arm strength, but does require a bit of skill to get the hang of it. 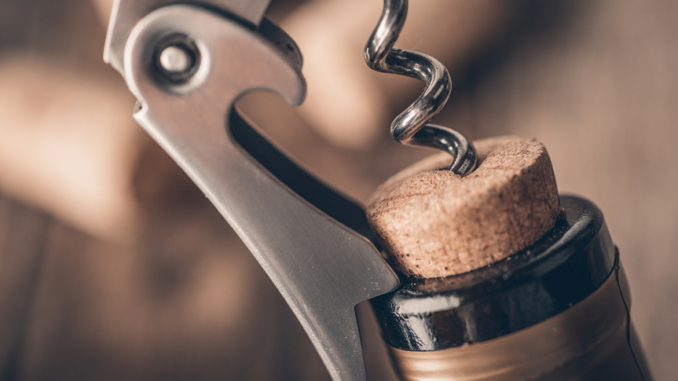 You have to make sure to aim the worm (aka the corkscrew portion) directly in the center of the cork and then screw it down to just the right amount. If you don’t do this correctly, your lever won’t rest on the top rim of the bottle and you’ll risk breaking the cork. Another potential issue is if your cork is synthetic, something more popular now since the plastic compounds have less risk of TCA contamination. Often the synthetic corks require you apply more pressure to remove, and again, if you’re not at the right angle, you risk the dreaded “glass rim chip” which renders your entire bottle unusable (editor’s note: if this happens, don’t even THINK about just using a wine strainer to “safely” remove the glass bits…there is nothing safe about that!). With a little practice, the wine key can be a great choice especially because of its portability (hence why waiters carry them). Added bonus- most these days have a small foil cutter attached, which makes them much more convenient than a regular screwpull. Levered wine openers are much easier than a screwpull or wine key. Ergonomic handles help you hold the wine bottle into place and with the worm pre-positioned in the perfect center place, it’s as simple as place, lower and pull up. If you’re hand grip isn’t the greatest, maybe due to carpal tunnel, arthritis or other conditions that limit your mobility, this wine opener can be an effortless solution for you. Now a quick note, again, on synthetic corks. 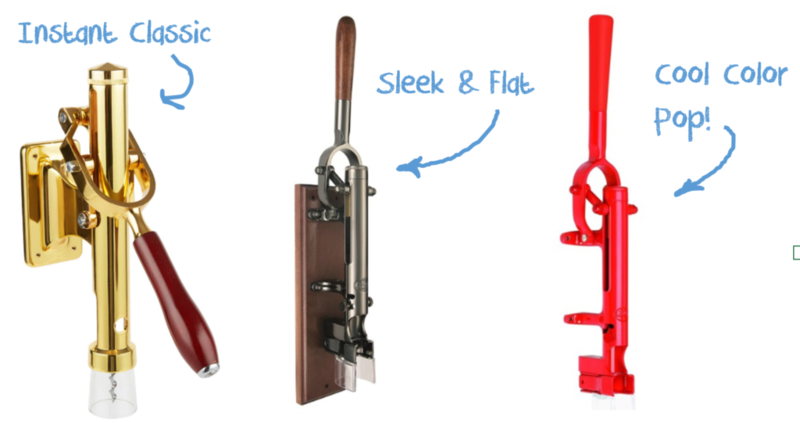 Some levered wine openers can have issue with synthetic, so it’s important to check that the model you purchase works on both natural cork and synthetic. Of the models we’ve listed below, all have been rated as usable on both types. One exception that we want to point out is the Coravin model, which instead of a corkscrew worm has a needle which allows you to pierce the cork, and upon removal of the needle, the cork closes to keep your wine fresh for longer. In testing, we found that with synthetic corks, the Coravin performed wonderfully and sealed the synthetic as easily as the natural cork, however it is a one-time use. If you attempt to reopen the bottle using the Coravin, the synthetic cork will not close a second time. We also recommend, just in case, that you store your bottles upright anytime you are reusing the old cork to re-close your wine bottle, regardless of what type of cork you have. 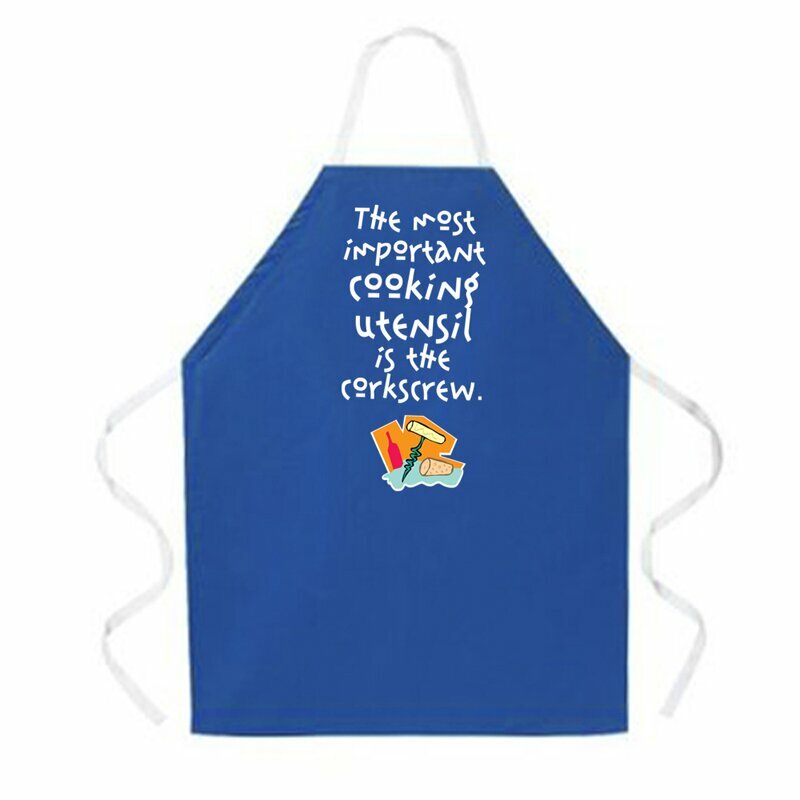 Now we move into the more professional models, known also as the legacy corkscrews. These are the beauty models, meant for use either on a tabletop or mounted to the wall. Because of their size, you typically won’t find these outside of a designated home bar area. Wine connoisseurs and collectors will swear by these models. They function almost identically like the manual levered wine openers, but with greater ease and less chance of damaging even the most delicate cork. If a manual levered opener is like a portable drill, then these models are like a professional drill press. Often ornate, they usually have the price tag to show for it. But if you’re looking for the perfect piece for your home bar or designated bar area…or if you are the type of person who enjoys high end wine, these models will give you a lifetime of consistent, worry-free use. Swinging the other direction, there are some amazing automatic and electric models out there that can take your wine opening into the 21st century. They are quickly becoming the number one gadget gift for Oenophilias everywhere. Like most high tech gifts, they can be more expensive than your typical manual lever opener, but many offer some truly awesome perks you won’t get from any other opener. We personally love the rechargeable options, since they are completely portable and several models last for hours of use on a single charge. Our editor’s personal favorite however is the Maestro, which comes with an infrared thermometer that can register the temperature of the wine in your bottle even before opening it, and shows you on an easy-to-read digital readout right on the top. Another honorable mention – if you have a wine loving sports fan, Fanatics sells Officially Licensed team logo electric openers. With over a hundred college and professional sport teams to choose from, it’s worth checking out for a gift your friend or family member is certain to like.